Our highly skilled rehabilitation staff includes dedicated Physical, Occupational, and Speech therapists. Our rehabilitation model is based on a providing more therapy per day and more days per week to expedite your transition back home. It is a well-rounded rehabilitation program based in individual outcome-driven treatments delivered up to 6 days per week. Our exclusive program, rooted in proven clinical pathways, offers a range of customized treatment approaches, therapies, and services that few other programs can match. The treatments are carefully planned and supervised by medical professionals in a rehabilitation environment guided by our compassionate team of nurses, therapists, and staff who will be with you every step of the way. 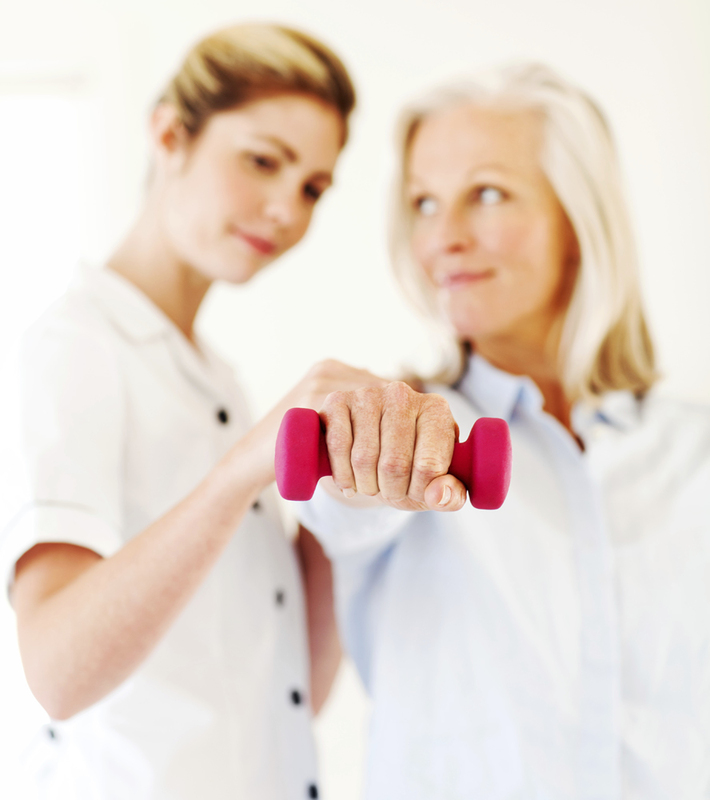 Physician directed rehabilitation services are based on clinically proven outcomes. Our High Intensity Therapy (HIT) programs expedite the transition back to the community. These same evidence-based programs are tailored to meet individual goals and abilities. More therapy. More hours per day – more days per week to get you home sooner. Dedicated rehabilitation environment. Skilled, patient-focused therapists and nurses track your progress. Individualized treatment plans. Customizing the approach built for your needs and capabilities. Community Re-entry Program – utilizing therapeutic approaches in “real world” situations. Outcome-driven techniques. You will benefit from our proven therapeutic approaches and techniques. Education for you and your family. Through skilled instruction, you and your family will learn strategies and techniques for a successful transition home.